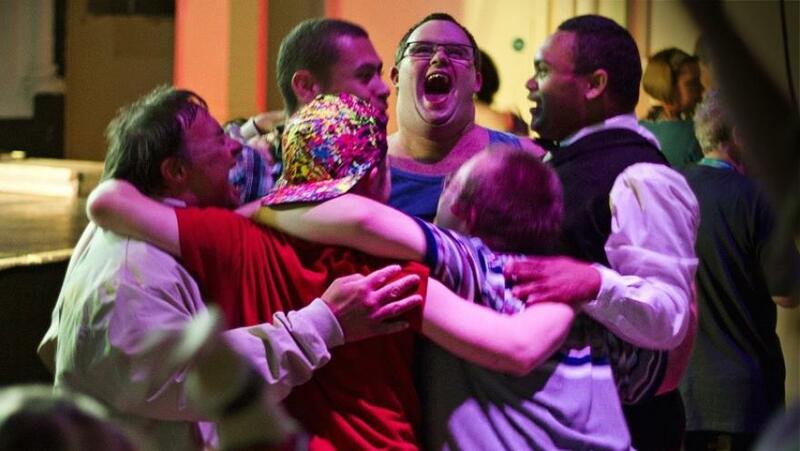 The Misfits are a theatre and social group led by people with learning difficulties. We are recognised for our role as providers of unique training solutions, working with both private businesses and the public sector. We aim to enable people with learning difficulties to be creative, have fun and reach their potential through participation, performance, volunteering and employment. We offer creative workshops for people with learning difficulties. Our latest project funded by the Arts Council is making a comic about staying up late. We have worked with two artists Anita MacCallum and Jenny Drew and designed a twisted cinderella story about the challenges of living an independent life it’s called ‘Rhythm of the Night’. The story aims to encourage conversation about how people with learning difficulties and their support can come up with creative solutions to staying up late. The Misfits really is led by people with learning difficulties at the heart of everything we do. We have been under constant threat of funding cuts from the beginning. We don’t have a marketing person and have only recently got someone who works on funding applications. It has been mainly held together by Tony Holdom and a key group of adults with learning difficulties – everyone has been on a journey together. All the projects have grown organically through trial and error. With the latest comic project every aspect has been designed by the group right down to the shape of the noses and eyebrows of the main characters. It was very important to have a picture of people snogging and be open about the desire to have relationships. Our group is run from Hamilton House, Stokes Croft Bristol, we are in the heart of inner city Bristol and integrate into the weird and wonderful world that grows there. We constantly challenge mainstream thinking, one of our proudest projects is training gp’s, the police force and others to open their minds and review the way they communicate with and see us – people with learning difficulties. Do not be afraid of making mistakes – mistakes are brilliant and a journey to where you want to be. Don’t be afraid of looking like you know nothing, like nothing at all. Don’t be afraid of sensible people thinking you are really silly. It doesn’t matter.